As we all know, nurses are caring individuals. They help make visiting the doctor, preparing for medical procedures, and overnights at the hospital a little less frightening. Recently, some area nurses showed us just how loving & caring they truly are. 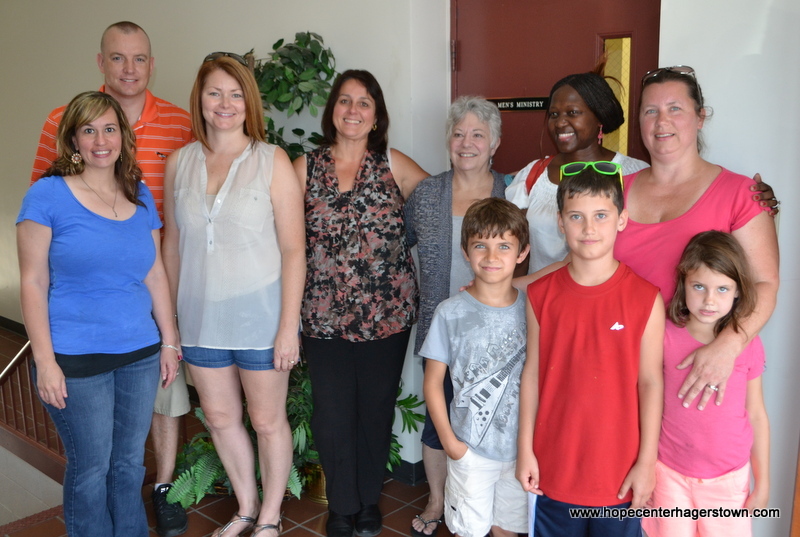 On June 19th, some nurses from Meritus Medical Center in Hagerstown visited The Hope Center at Hagerstown Rescue Mission. Our visitors are registered nurses working on their BSN degree. They are all students in a class about community support agencies and their professor, Barbara Friend, R.N., PhDc from Notre Dame of Maryland University, recommended they visit The Hope Center and learn about the various community outreach programs that take place at our facility. The students were given a tour by Executive Director Sonny Shank, who took them all over our facilities and spent some time with the nurses going over all the programs and services we offer free to the community. For a majority of the nurses, this was their very first time seeing and learning about the many things The Hope Center does in the community. Our new friends left the tour with a better understanding of The Hope Center and the constant work we do reaching the community. 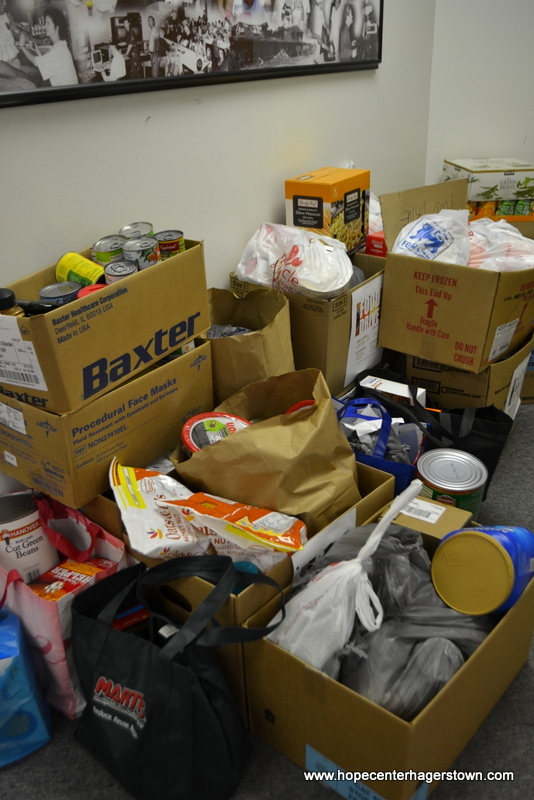 As a result of their visit, the nurses organized a food drive and also requested cash donations from co-workers at Meritus. 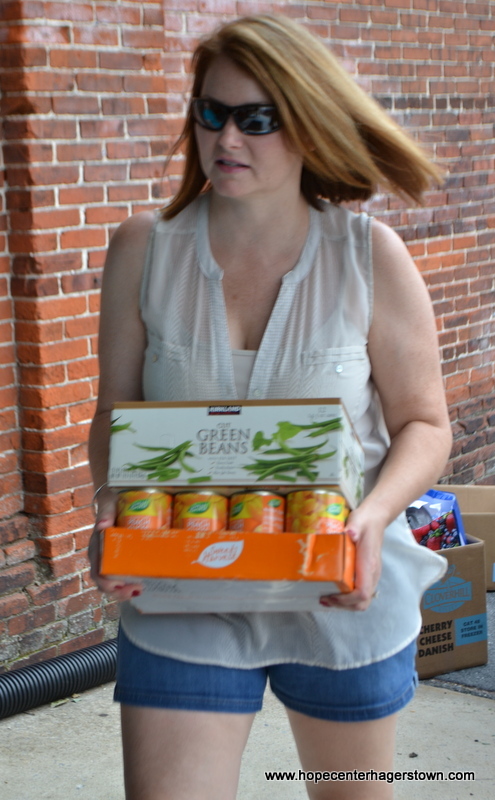 In early July they presented The Hope Center with 750 pounds of non-perishable food and a very generous cash gift. We are so thankful for these wonderful nurses who, not only help to care for us and our community at their offices, but also want to help feed and care for those in our community who are struggling in other ways. 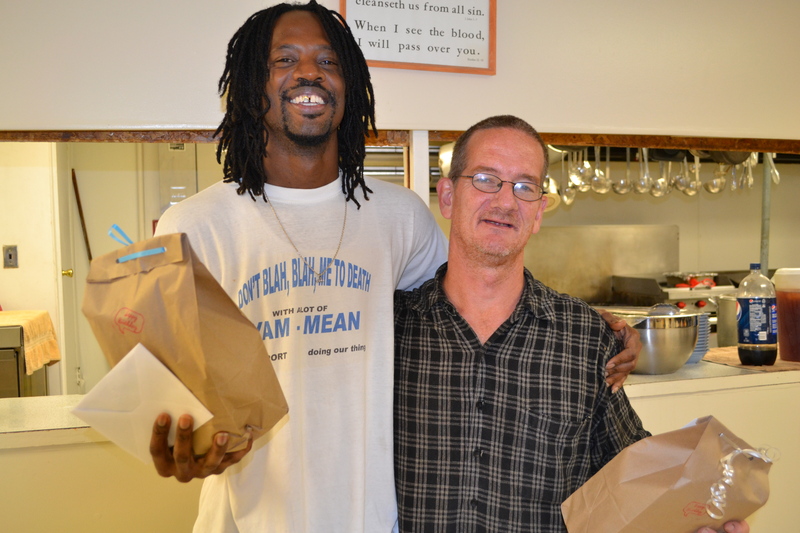 Their food and financial donations will help to reach hundreds of thousands of people, including children, families, men addicted to various substances, the hungry and homeless. It’s a great feeling to know that we have a nursing and medical staff in our area who truly care about helping others. 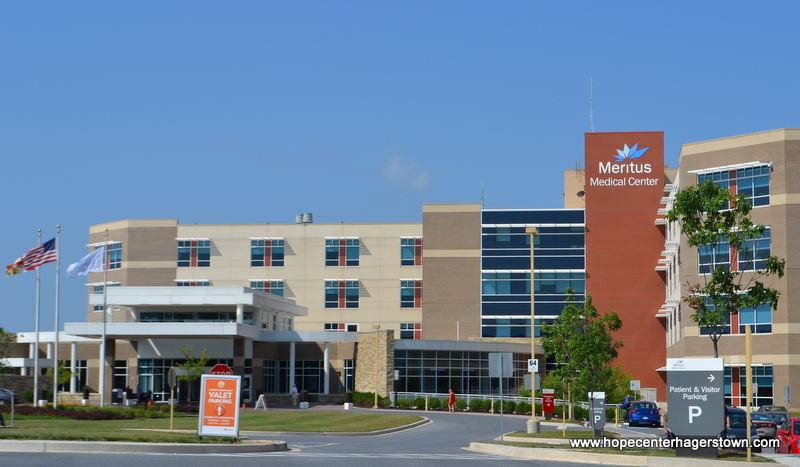 Thank you Barbara Friend, nurses, and the rest of the staff at Meritus who donated much needed resources for us to continue to provide many basic needs for free to our community. 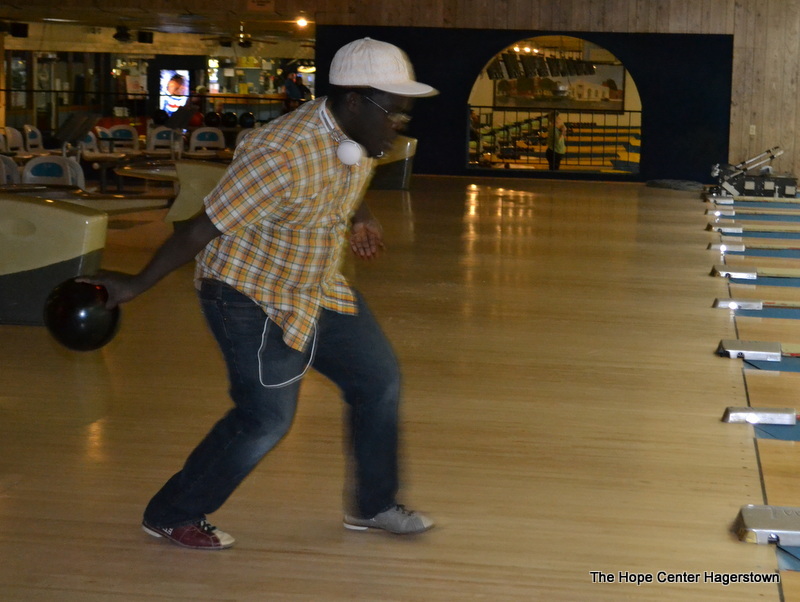 Bowling Does Our Residents Good! When a guy enters our Hope Center Life Recovery program, he’s making a commitment to getting his life back on track and becoming the man God designed him to be. But it’s not an easy path for many of our residents. They struggle with many things including their addictions, their past, family and work issues and, often times, the lack of love and acceptance. Once they join the program they begin to build relationships with other guys in the program and our staff. This bond is a very important part of their rehabilitation. 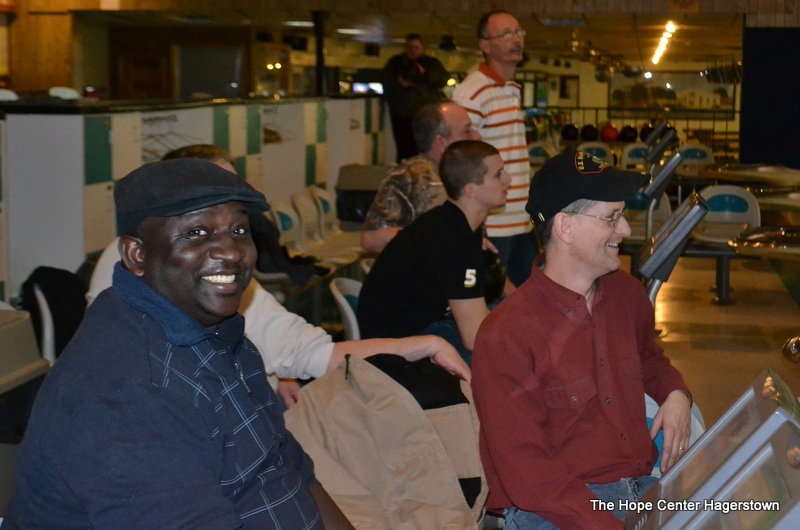 When the men aren’t working or attending life recovery classes, they enjoy playing sports and hanging out in the McKinley Rec Center at The Hope Center. Our staff knows the importance of leisure activities so they plan various outings during the year. From softball tournaments, to fishing, canoeing, picnics and other activities, our staff tries to build relationships with our guys to keep them pushing through the program. 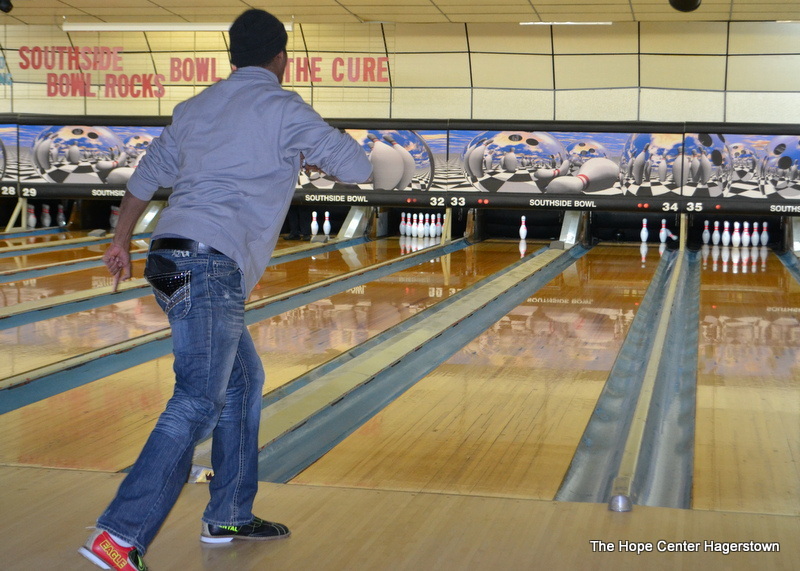 Recently, our staff took the guys bowling. 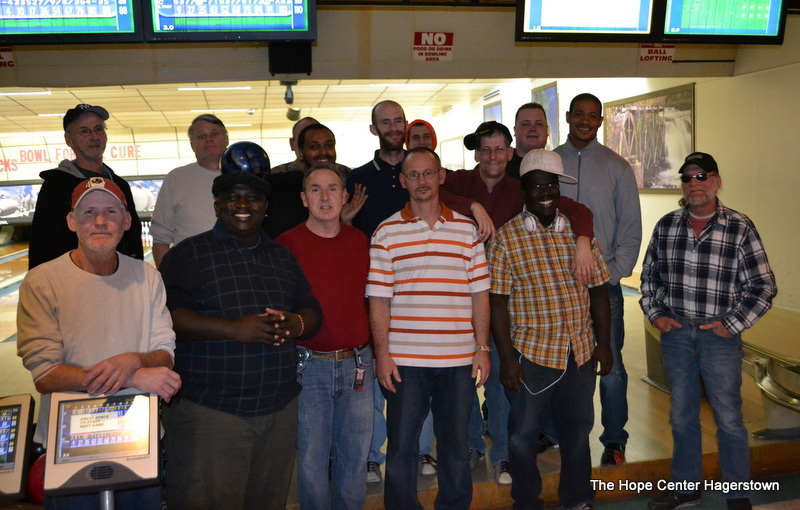 From the laid back atmosphere to the friendly competition, our guys really enjoyed bowling together! 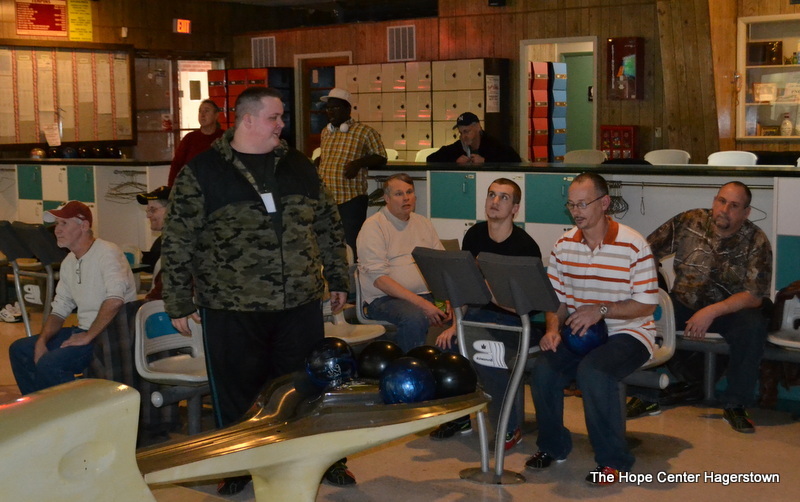 Here are some pics from the guys’ day at the bowling alley. 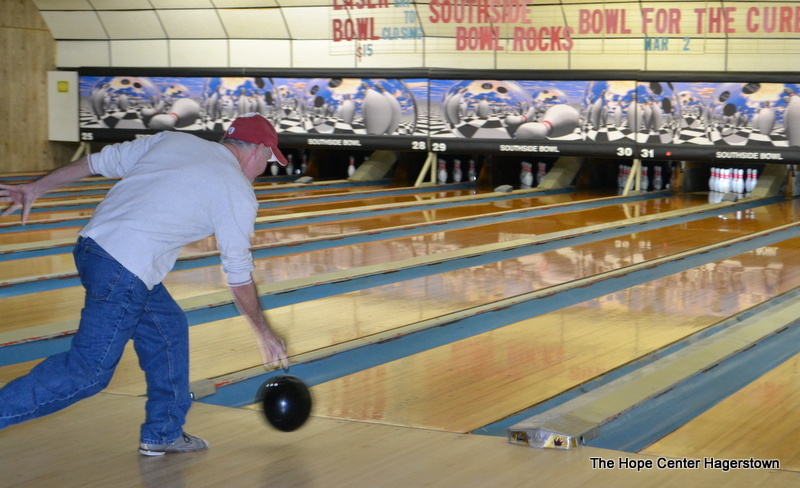 While going to the bowling alley may just seem like a regular activity to most people, to our guys this is a very important part of rebuilding themselves. These outings are beneficial to their recovery in so many ways. When you donate, whether financially or through in-kind gifts, you are helping to provide our residents with these types of activities. Thank you for your continued support of this ministry and our residents! You may never truly know how important your gift was, but God knows. You’re helping to change lives for eternity! The first Friday of each month is the day that we celebrate the birthdays of residents in our Foundations program. On October 5th we celebrated 3 of our resident’s birthdays. 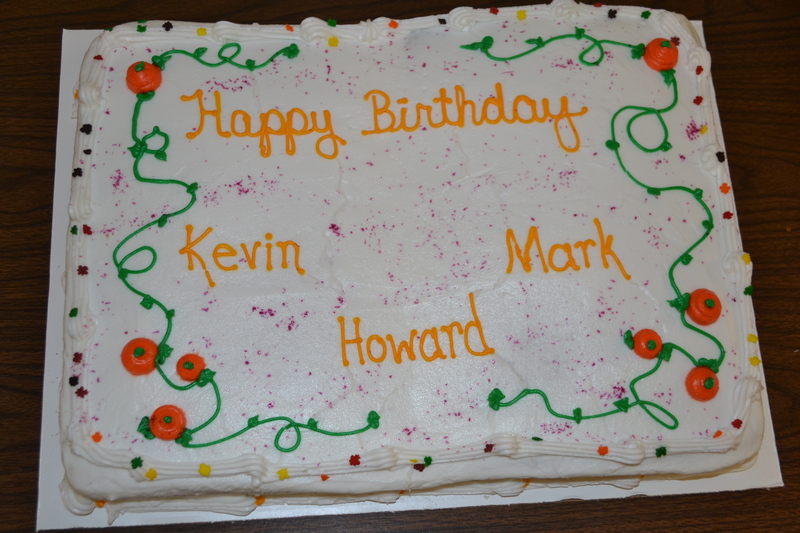 Howard, Kevin & Mark are all celebrating their birthdays this month, but unfortunately Mark was unable to join the party due to a prior appointment. But October is not just a month of birthday celebrations for Howard & Kevin. They both will be graduating from the men’s program on October 26th! What a fantastic way to celebrate the life that God gave them! They’ve both worked so hard to achieve this honor. Please join us in wishing these 3 gentlemen a very happy birthday! And continue to pray for them and all the other guys who seek refuge and change at The Hope Center. It’s not an easy thing to do, but God is clearly at work in the lives of these men in our program!